Team Team Team- the famous motivational pep talk given by the revered former University of Michigan football coach Bo Schembechler, summarizes what many coaches believe is the most important aspect of team sports. The willingness to put others before one’s own self interest. Coaches often struggle to capture that same energy in which coach Schembechler was able to create in his program. How coaches create a “team first” climate, – often determines their success. Players often remember their records, and certainly coaches are accountable for losing seasons, but what players remember most, are the relationships they form with their teammates and coaches. All seasons eventually end, but strong relationships last forever. Growing up in Michigan I remember fondly watching Coach Schembechler’s teams play with such grit and competitiveness. Though what struck me the most was how they played as a team and respected their coach. One legendary story of how Bo worked his magic was during the 1980 season. Quarterback John Wangler was coming back from a seemingly career ending knee injury the season prior, and he worked his way back into the playing rotation. Early in the season Wangler, medically cleared, entered the Notre Dame game trailing by two touchdowns. As he jogged on the field, literally limping taped from his ankles to his hip, Coach Schembechler brought his offensive line together and challenged them saying, “nobody touches Wangler.” It was not so much what coach said, but it was how he said it. He was essentially saying to his offensive line, Wangler is one of ours, we care about him, take care of him today. Though Michigan lost in the last seconds of that game, they later went on a nine game winning streak, and Wangler led Michigan to it first Rose Bowl victory under Coach Schembechler. John Wangler does not remember being hit too much that season and credits his coach with being a master reader of people. He stated, “Coach was an incredible motivator and created a true team environment. Nobody was bigger than the team.” Wangler continued; “People might be surprised, but he was a true player’s coach. If you went to class, played the right way, and put the team first, coach would do anything for you.” The relationships that Coach Schembechler was able to establish with his players are what all coaches want in their program. 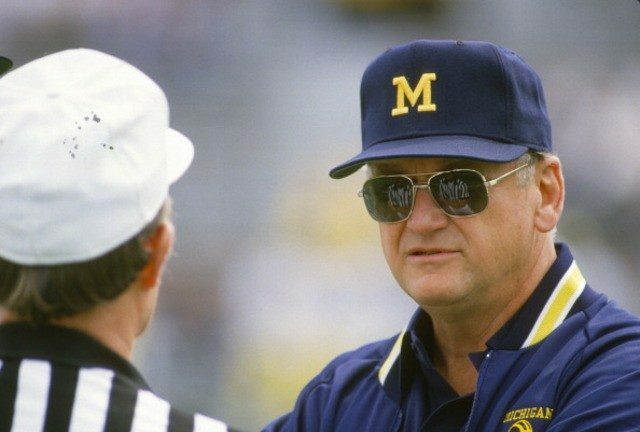 Not every coach can have the charisma of coach Schembechler. However, every coach can create an environment where his/her team can bond and become incredibly close. True championship teams don’t just play with one another, they play for one another. One basketball coach that fosters strong team play is Keno Davis the men’s coach at Central Michigan University. In just his third year, coach Davis’ team won the Mid-American Conference (MAC), finishing 22-7 (12-6) in the MAC. Looking closely at their program, you find strong team play. If you follow CMU basketball closely, you will see a program in which players are not only excelling on the court, but their athletes are winning leadership awards, excelling in the classroom, and are positive community members. High school and middle school coaches may not be able to recruit virtues like “character”, but there are plenty of opportunities to foster a climate in which your players can become a closer team. In past posts I have been sharing the positive effects of team book studies, or leadership talks. These team bonding activities create a selfless culture that help foster a winning climate. As successful coaches know, winning often begins far before the season starts. It begins with a strong culture, and an unshakeable bond created by meaningful time together and a shared worthwhile goal. I have enjoyed sharing the fictional journey of the main character CJ Harding from my book, An Elite Journey: A Young Man’s Leadership Story. CJ is on a relentless pursuit to become the best version of himself. When CJ discovers a leadership manual, written by his late father, who was a West Point officer and war hero, CJ’s life begins to transform. His dad wrote motivational messages on what it takes to succeed, and CJ takes those lessons to heart. I have written three posts for hoopcoach.org, revealing parts of the manual CJ’s dad created. The first three letters I have shared for the acronym ELITE, are “E” – standing for education, “L”- standing for leadership, and “I”- standing for integrity. As CJ grows and matures into an elite athlete, he learns that education is the most important aspect in one’s journey to success. He also learns that leadership is a choice and the importance of having the courage of your convictions. CJ’s dad also wrote on the invaluable lesson of integrity, and that there should be no gap between what you say and what you do. However, through all these lessons, CJ is still struggling to reach his full potential and mesh with his teammates. In this post, I would like to share the fourth lesson that CJ’s father shared in his manual; it is the value of creating meaningful relationships and bringing positive people into your life. The “T” in ELITE stands for TEAM. CJ soon realizes that his dad is not just talking about the people on his basketball team, his father is noting the importance of forging strong relationships with positive people. CJ’s dad writes that people tend to be the average of their five closest friends. CJ continues to read his dad’s inspiring words, and he re-evaluates how he is interacting with his family, friends, teammates, and coaches. As mentioned in earlier articles, CJ’s dad’s leadership manual is filled with not only words of wisdom, but with inspiring poems and quotes. One quote from Coach K really made him think about the importance of team. “People want to be on a team. They want to be part of something bigger than themselves. They want to be in a situation where they feel that they are doing something for the greater good.” CJ was eventually selected captain of his team, and he wanted to be sure that he led the right way. He wants his team to play as one, to be part of something special. He wants his team not to just play with each other, but play for one another. Another quote by Bob Moawad inspired CJ to forge stronger bonds with the people in his circle. “You can work miracles by having faith in others. By choosing to think and believe the best about people, you are able to bring out the best in them.” CJ learns that the key to motivating people was showing that you care about them. As the old saying goes, people do not care how much you know, until they know how much you care. Through his dad’s inspiring words and different quotes and poems about the importance of team, CJ becomes more intentional about attracting positive people in his life. He forms a strong bond with a minor character in the book, and this mentorship inspires CJ to even greater heights. If you are interested in finding out more about my book, or how you can use it with your team, please do not hesitate to contact me. You can reach me through email at coachmassucci@gmail.com or follow me on twitter @coachmassucci #elitejourney.